With thanks to David Clare for drawing attention to this Wulfrunian and providing information and scans. Leonard Cottrell was a prolific author and broadcaster, whose books sold in enormous numbers. Most of them were about archaeology and ancient history and did much to popularise those subjects. But he always pointed out that he was not an archaeologist. In one of his books he explained that archaeologists, especially Egyptologists, were somewhat cloistered people, and he felt it was his role to get these subjects out of the University lecture room and to make them accessible to all. But he would, at the time, have been classified as an “armchair archaeologist” and his books found their way onto the reading lists of University course. And he was a member of the Royal Institute of Archaeology, the Egypt Exploration Society and the Hellenic Society. Leonard Cottrell was born in Tettenhall on 2lst. May 1913. His father was William Cottrell, an engineer who worked in Birmingham. It was probably this connection that lead to Leonard’s attending King Edward’s Grammar School, Birmingham, rather than the equally ancient foundation in Wolverhampton. His father had fired his interest in history, ancient and modern, and Leonard was one of the many whose imagination had been stirred by the discovery of Tutankhamun’s tomb. On leaving school he wanted to become a journalist but his mother, Beatrice (nee Tootell), objected because he would have had to join a newspaper away from home. So he started life as a copywriter in advertising – though with which firm, and where, is not known but probably in Wolverhampton or Birimingham. He still wanted to be a journalist and like many such aspirants at the time read Dryden, Pope, Addison and Steel and Dr. Johnson, whose works were considered to exhibit a clarity and style that had not been equalled since and were worthy of simulation. He also continued his interest in history and toured the countryside on a motorbike, visiting sites of interest. Cottrell’s first published works were articles on motoring history but in 1937 he wrote his first documentary for the BBC. On the outbreak of war he volunteered for the RAF but was rejected on medical grounds. In 1942 he was able to pursue his main ambition when he joined the BBC as a writer-producer of documentaries. They made him a war correspondent, where he was attached to the RAF. It must have been about this time that he left Wolverhampton and it seems that he never lived there again. After the war he wrote and produced a number of documentaries about great archaeological discoveries. 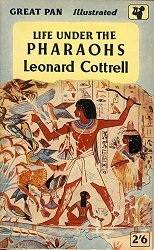 The success of these lead to its being suggested that he should write books about archaeology and this he did, starting with “The Lost Pharoahs”. Many other soon followed. 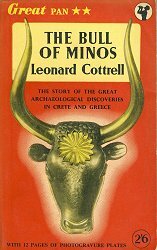 They were remarkably popular, doubtless because Cottrell managed to bring these ancient civilisations to vivid life, to tell a lively story based on academic reports. He never excavated anything himself. 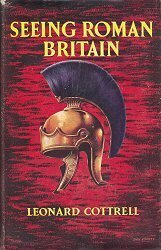 His books rode upon a swelling tide of interest in archaeology, promoted by the BBC itself with such programmes as “Animal, Vegetable and Mineral” and such personalities as Sir Mortimer Wheeler, an archaeologist who also had a gift to popularising his subject. But Cottrell’s books did not just ride upon the tide, they swelled it. Cottrell transferred to BBC Television in 1956 but, oddly, was never allowed to make programmes about archaeology and history: he was put in the drama department. So he left and moved to a house overlooking the estuary of the River Kent in Westmoreland, where he stayed for the rest of his life, writing. Sometime in the late 1930s he had married Doris Swain but the marriage was dissolved in 1962. In 1965 he married a young musician and artist, Diana Bonakis, but that marriage lasted only three years. He had had no children by either marriage. Leonard Cottrell died on the 6th October 1974. 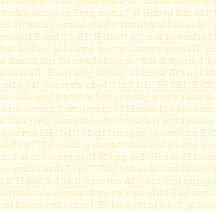 The following is a list of titles of Leonard Cottrell's books. It is probably not complete. It is in random order. To this list could be added numerous newspaper and magazine articles and many radio and television programmes. 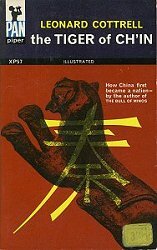 Many of the books were translated and published in other languages.